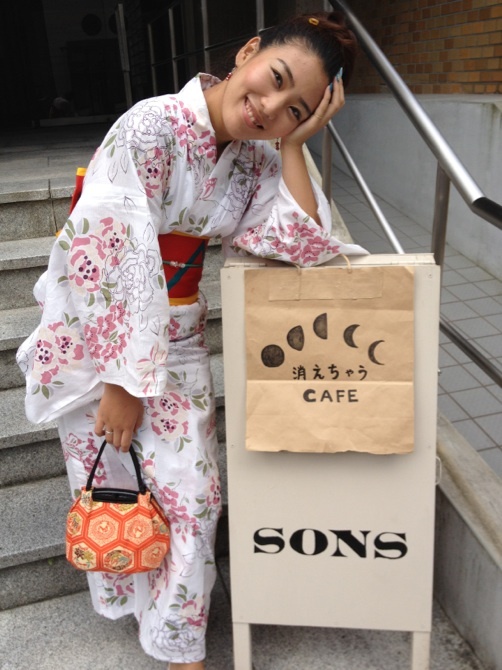 On August 15th & 16th 消えちゃうカフェ (the Vanishing Cafe) made a brief appearance at Sons music bar. Mewby and I paid a little visit. 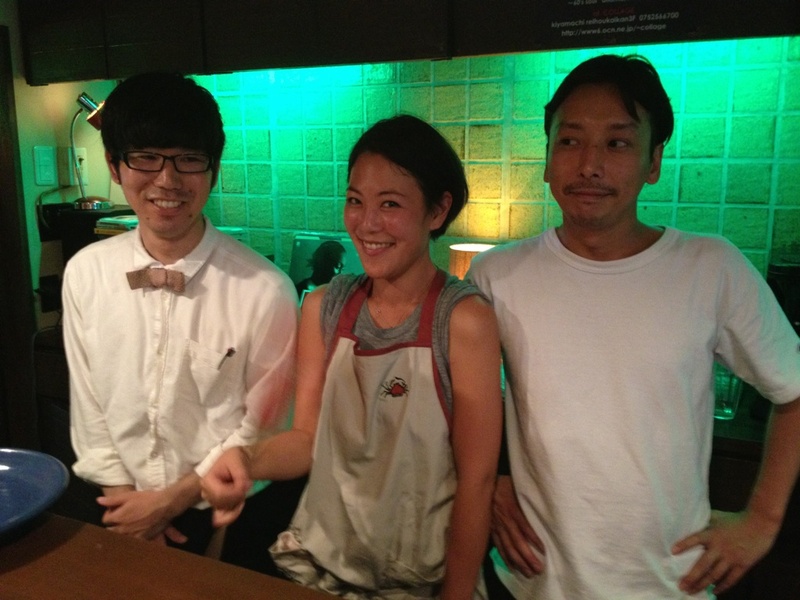 Friends, Ikko, Nana and Riki ran the cafe, with Ikko making coffee, Nana cooking and Riki taking care of the desserts. 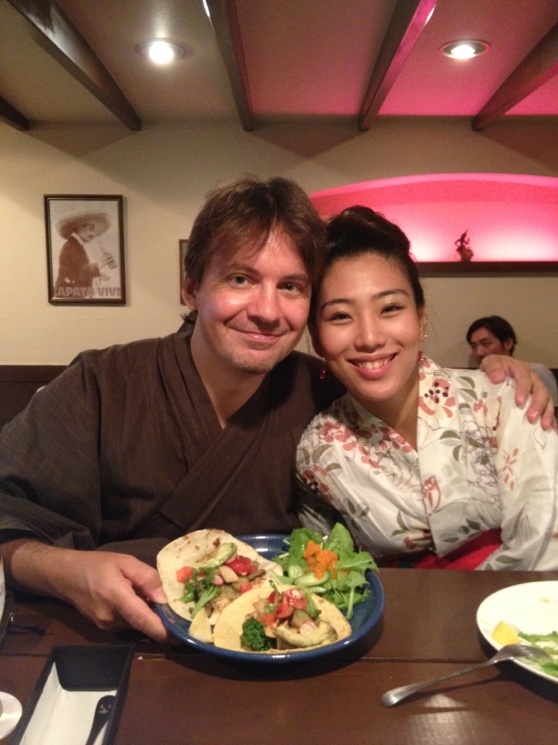 For 1000 yen we got a main dish, desert and a drink and everything was super tasty. Nana even made some vegetarian tacos just for me. I was very happy with that. Riki’s pound cake and fig compote also went down a treat. Who knows when and where the Vanishing Cafe will appear again? Mewby and I will be watching out for it!